Baahubali 2 has reconstructed box office records set by the first part of the magnum opus and Bollywood's once-highest-grossing film Dangal. Baahubali: The Conclusion, which released across 8,000 theatres in India, has collected Rs 1,500 crores worldwide, tweeted trade analyst Taran Adarsh. The box office performance of S S Rajamouli's ambitious project has been described by Mr Adarsh as 'sensational.' Agreed. "Baahubali 2's records seems unconquerable and unbeatable for some time at least," tweeted Mr Adarsh. Meanwhile, the Hindi version of Baahubali: The Conclusion has made a major contribution with Rs 460 crores to the overall figure, as reported by Taran Adarsh. The Hindi version, which has been distributed by Karan Johar's Dharma Productions, is also steadily heading towards Rs 500 crores. 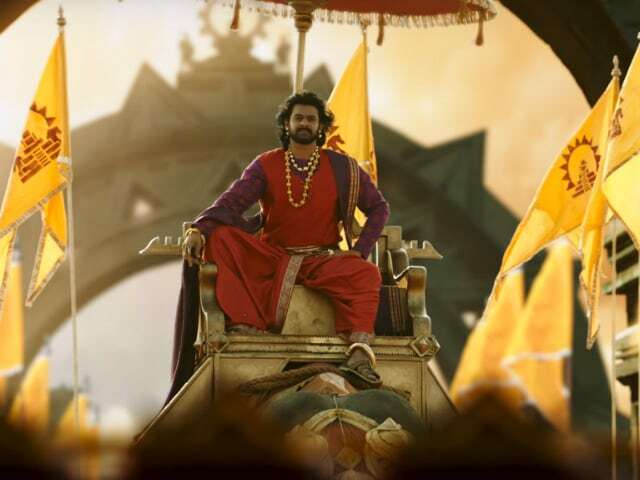 The Hindi version of Baahubali 2 respectively made Rs 247 crores, Rs 143.25 crores and Rs 69.75 crores in the first three weeks at the theatres, reported Mr Adarsh. He also provided a day-wise break-up of the film's ticket sales in the third week. #Baahubali2 [Week 3] Fri 10.05 cr, Sat 14.75 cr, Sun 17.75 cr, Mon 7.95 cr, Tue 6.95 cr, Wed 6.25 cr, Thu 6.05 cr. Total: Rs 460 cr Nett. Meanwhile, Mr Johar gave a shout-out to Baahubali 2 on Twitter: "The Hindi version of Baahubali: The Conclusion marches past the 450 crore mark! The worldwide mania continues," he wrote. Baahubali: The Conclusion became the first ever Indian film to have surpassed the Rs 1,000 crore-mark, scoring the humongous amount in just nine days. The film collected Rs 800 crores from Indian theatres with the rest pouring in from theatres overseas. Baahubali: The Beginningmade stars out of Rana Daggubati and Prabhas, and includes actors like Anushka Shetty, Ramya Krishnan, Tamannaah Bhatia and Sathyaraj as part of the ensemble cast. Baahubali is the story of rivalry and revenge between Bhallala Deva, played by Rana, and Baahubali, portrayed by Prabhas, set in the fictional kingdom of Mahismathi.